Organizing transportation for the big game is extremely important. No matter how much time you’ve spent preparing, training, and going over plays, it’s all for naught if you don’t show up on time to play. Chicago Charter Bus Company understands this, and we make it our sole responsibility to ensure that every member of your team arrives safely, and on time. We’ve worked with teams of every size and level, from amateur to professional, and we take pride in providing the same, high-quality service for each one. If you’re ready to book reliable, no-nonsense transportation for your team, call us today at 312-667-0906. Your team likely has a ton of supplies you need to bring on the road. Instead of stressing about who’s responsible for what, throw all of your essentials in the luggage bays and overhead storage bins of your luxury charter bus. Now you can keep all your uniforms, balls, training equipment, pads, helmets, and anything else with you on the road. No matter how big your team is, we can accommodate every player on your roster. Athletes, coaches, and trainers alike love the customizable amenities and unique features that every private motorcoache provides. 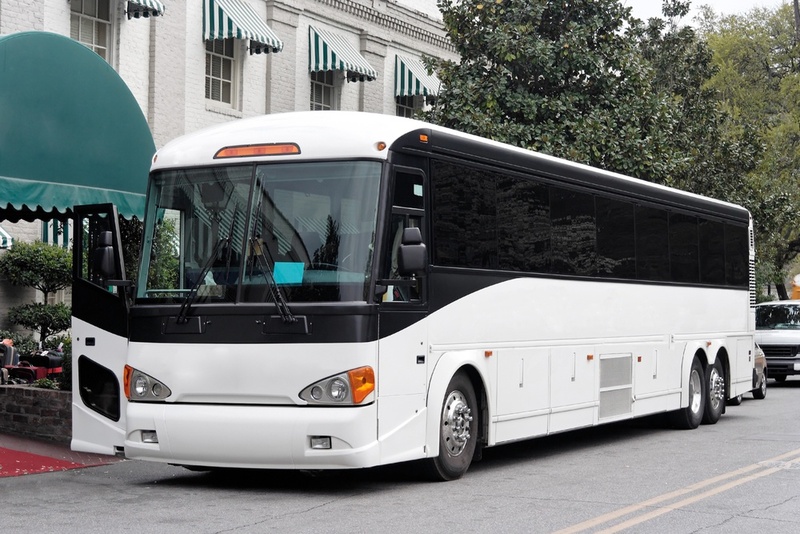 Whether you have a large team that requires a 56-passenger charter bus or a smaller team needing a 18-passenger minibus, we can find the perfect solution for you in record time. Team camaraderie is important when heading to a big game. You may have had trouble keeping your team unified, loose, and prepared in the past, but a private motorcoach solves that probably instantly. Not only are your players able to enjoy comfortable, plush seating, but they also get to enjoy a number of premium amenities such as WiFi, flat-screen TVs, DVD players, lavatories, and surround sound speakers. Now, your players can enjoy the ride and relax as they mentally prepare for the competition. You don’t have to be an athlete to enjoy a private coach. It’s a fan’s responsibility to support their team no matter what, and now you’re able to do that much more easily. Get a group together, pack some bags, and hit the road to support your team. If you love to tailgate, you can even pack grills, food, coolers, and beverages so you can recreate your home experience. Game days will never be the same once you book a private motorcoach. With the enhanced safety features, ample room, and premium amenities provided during a ride, you’ll instantly notice the difference in your riding experience. Call us today to learn more about how we can assist you; our 24/7 reservation specialists are available at 312-667-0906.